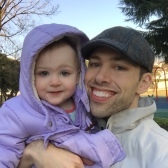 Transportation with small children is never easy, whether its a plane, car, train, bus, horse-drawn carriage, or any other mode of transport you can think of. Still, you have to get around somehow, and one of the speediest and most convenient options in Japan is the Shinkansen (Bullet Train). But how is the Shinkansen for families? Is it worth it? How can you make it easier for you and your children? 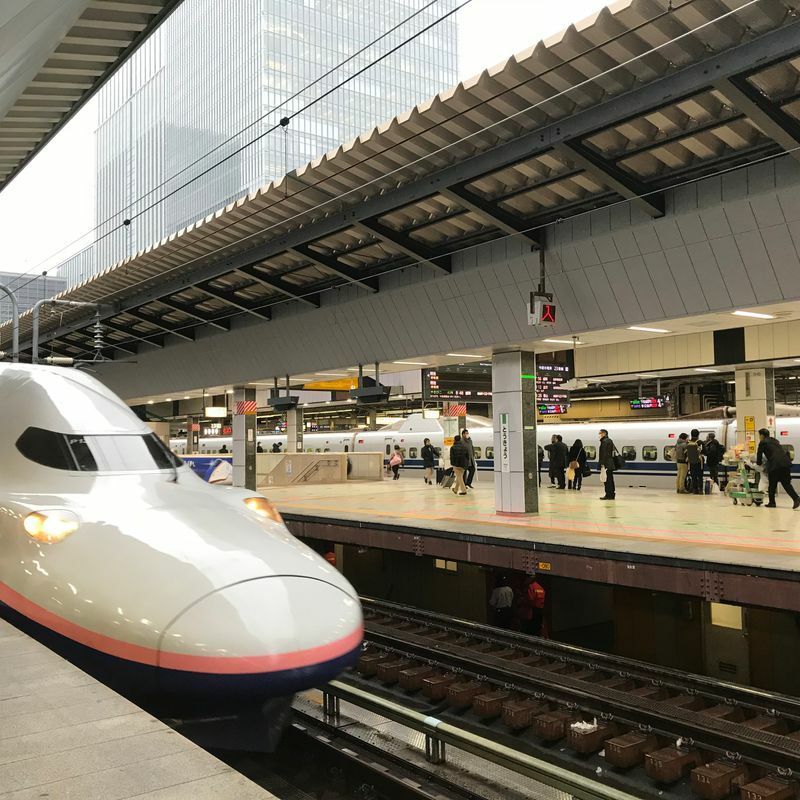 Allow me to answer these questions and offer some more insight to ease your next bullet train trip with children in tow. Most of you who have taken the Shinkansen know that there are three options for seats: unreserved, reserved, and green car. Unreserved seats put you in cars where you just pick any available seat. Reserved seats are specifically designated by car number, row, and seat designation. Finally, green car tickets are reserved seats in the luxury cars. Naturally, the price for tickets goes up from unreserved seat to reserved seat to green car. Generally speaking, the differences are not significant, but enough to consider when traveling on a budget. Children 6-11 ride for half the adult fare. Children 5 and under are free, but they are not entitled to their own seat, which means that if no seats are open, they must ride on your lap. So which ticket is best for families? If you are traveling with small children (5 and under) and have the money, it is always best to spring for the Green Car when you have kids in tow. Green Cars are the least likely to be full, meaning that you have a better chance of having an open seat next to you where your child can sit for the duration of the ride. Even if the child has to sit on your lap, there is a lot more space to accommodate the extra body in the seat area. If money is tight, you should still consider going for a reserved seat. It will just give you peace of mind when trying to get your family settled in the train car (not the easiest of tasks). I only recommend buying an unreserved seat ticket if you are traveling with a single child under 5. Any more and you run the risk of being separated because there are not enough open seats available, and if you only have one child, it will be a tight squeeze but you will be together on the single seat. - Bring Snacks (or be prepared to buy snacks): Unlike normal commuter trains, Shinkansen seats have tray tables and encourage eating on board. They even have snack carts that travel up an down the aisle (they take small bills, PASSMO/SUICA, or credit cards). - Dump your big bags at the storage areas right when you board the train. I think it's impossible for parents to travel light with children in tow, so I recommend placing your big suitcases/backpacks/diaper bags in the baggage storage areas present right when you board the train. This is convenient, because those storage cubbies are usually close to the restrooms, so if you need to grab the diaper bag, it will be right there for you. The seats do not have adequate overhead storage or leg space to accommodate keeping the big bags with you when you are also sharing the space with children. 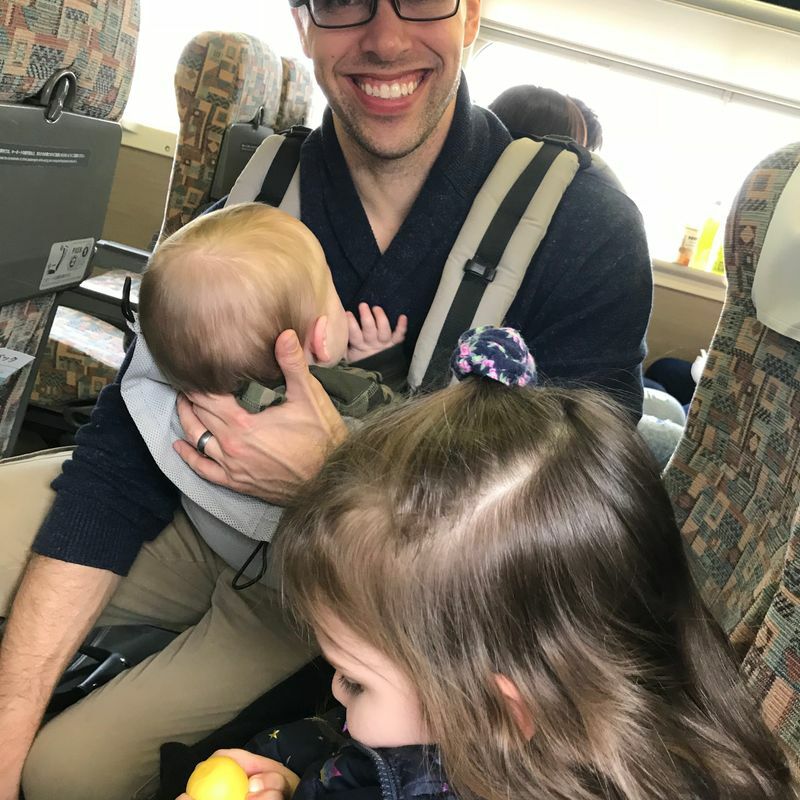 Do you have any questions about taking the shinkansen with children? Do you have any additional advice for readers out there? Feel free to use the comments section below!